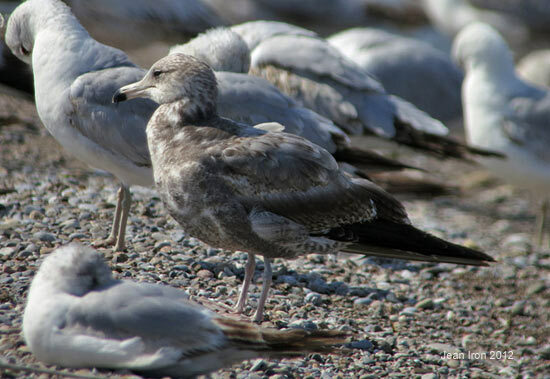 The centre dark gull was at the Tip of Point Pelee on 18 May 2012. It was smaller than the neighbouring Herring Gulls. 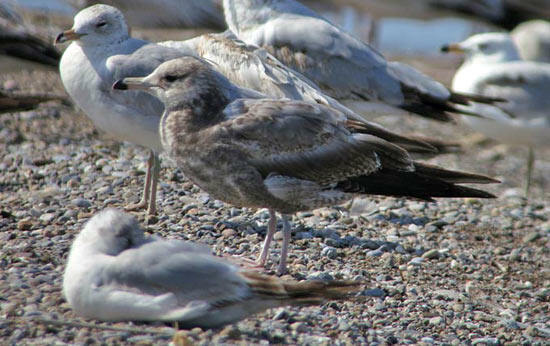 It is a first year - year old California Gull. I thank Ron Pittaway, Kevin McLaughlin and Michel Gosselin for confirming the identification. 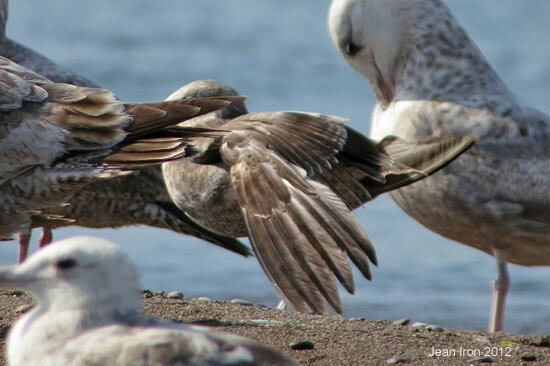 It was larger than Ring-billed Gulls. It has a sharply demarked bicolour bill. Its legs had a bluish tinge. It had new greyish scapular feathers. It was long-winged. The bird is in wing molt. These are the old retained primaries.